What does the Chinese regime’s treatment of Liu Xiaobo tell us about the regime itself? The way the Chinese government treated Liu at the end was gratuitously cruel. They denied treatment for liver cancer until it was too late for him to survive, then put on a propaganda show of providing palliative treatment, and invaded his and his wife’s privacy to circulate videos of their last moments together. After Liu died, the regime forced his widow, Liu Xia, to disappear, and as I write this she still not free. But these were just the final acts in a long series of cruelties. The regime gave Liu an extreme 11 year sentence merely for exercising his rights, subjected Liu Xia to an illegal, ruthless, and maddening house arrest for the entire time of Xiaobo’s imprisonment, punished Norway diplomatically and economically for being the host country for the committee that awarded Liu the Nobel Peace Prize, and blocked all mention of Liu and his doings from domestic media, so that few Chinese people today know anything about him. After his death the government cremated his body and forced his widow to scatter the ashes at sea so that there could be no place of pilgrimage for those who would wish to remember him. While conditions in Chinese jails are bad in general, human rights and democracy activists are, like Liu, often singled out for harsh treatment and denial of medical care. In 2014 human rights activist Cao Shunli died in detention just before she was scheduled to go to Geneva to testify at the UN Human Rights Council. Tibetan monk Tenzin Delek Rinpoche died in prison after mistreatment in 2015. In 2016 the sister of imprisoned human rights lawyer Guo Feixiong reported that his medical condition was deteriorating and he was being denied medical treatment. Examples could be multiplied. Why does such a strong regime, which as I write this is heading triumphantly into its 19th Party Congress with a 6.7% growth rate, 3-trillion-plus dollars of foreign exchange and a vast domestic market ; a regime that is able to buy influence from Australia to Greece to Cambridge University Press; a regime with total control of domestic media, academia, and public opinion; a regime that by all appearances has succeeding in purging all opposition within the Party and is preparing to crown its head as supreme leader of everything and apotheosize his thought in the Party constitution – why is this regime so scared of those few who dare to criticize it openly? This is the central paradox of the Chinese regime. It really is strong, in my opinion. It is hard to know for sure, but the elite appears authentically unified around Xi Jinping, economic growth is sustainable, popular support is real, and the many problems that exist are being skillfully managed. Yet the regime remembers Tiananmen, the collapse of the Soviet Union, riots in Tibet and Xinjiang, the Umbrella Movement in Hong Kong, and the Sunflower Movement in Taiwan. And from this sequence of events it draws the lesson that its political support is fragile. For a regime like this, I believe such a judgment is correct. By choice and design, this is a structurally isolated regime. The ruling, Leninist vanguard party, the Chinese Communist Party, consists of about 6% of the population. The reason it is a vanguard party is that it doesn’t trust those whom it calls “the masses.” It doesn’t trust them to vote. It doesn’t trust them to write. It doesn’t trust them to think. It doesn’t trust professors to analyze politics, students to figure out for themselves what they think, journalists to report on official wrong doing, or judges to decide political cases. Who then can supervise the party? The party’s answer is, “the party can supervise itself.” But the party doesn’t really trust even itself, because it suspects so many of its own members of misdoings – corruption, ambition, opportunism, abuse of power; it even suspects its own members – despite their constant training in right thinking – of wrong thinking. We must admit that in recent years the performance of the Chinese system has been impressive, and the performance of Western democratic systems has been poor. But the grotesque abuse of Liu Xiaobo, and of so many other people less well known than Liu, throws a sharp light on the core weakness of the Chinese type of system. 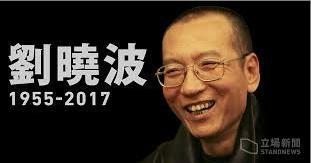 Liu Xiaobo famously said that he had no enemies. But the vanguard authoritarian regime, by its nature, has many enemies. This is a version of remarks that were delivered at a symposium on “Liu Xiaobo and the Future of China,” at the National Endowment for Democracy, Washington, D.C., on September 7, 2017.